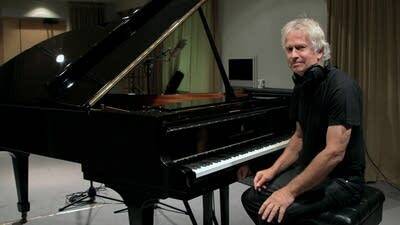 Tony Banks rose to prominence as the co-founding keyboardist of the British progressive rock group Genesis, which was inducted into the Rock and Roll Hall of Fame in 2010. But these days, you'll find him firmly planted in the classical world, with the recent release of his third all-orchestral album, simply titled 5. "I love classical music; I always have," Banks says in a phone call from his home near Guildford, England, about 25 miles southwest of London. He cites composers such as Dmitri Shostakovich, Gustav Mahler, Bohuslav Martinu and Jean Sibelius as favorites and influences. Even before the release of his first classical album in 2004, Banks was never a stranger to orchestral pursuits. Genesis' first album, 1969's From Genesis to Revelation, prominently featured orchestral arrangements. The original incarnation of the band, with Peter Gabriel on vocals, also often had Banks on acoustic piano  compared with the mostly electronic keyboards that fueled the more-mainstream lineup of the group that became an '80s hit machine with Phil Collins as the lead singer. Banks also has scored a few films, including the 1983 Faye Dunaway adventure The Wicked Lady. But it's not easy to leave his rock past entirely behind, which he found while making 5. His first two classical albums  on the Naxos label, with performances by the London Philharmonic Orchestra and City of Prague Philharmonic Orchestra, respectively  were recorded more conventionally. 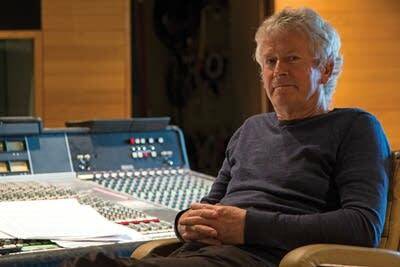 "I go in with the orchestra, and by the end of a session, you're supposed to have 10 to 15 minutes of music done and everything," he explains. "Although sometimes that works very nicely, other times I was a little dissatisfied with the result, and I wanted to have more control this time. So I thought, 'Why not just approach it like I would if it was a rock album?'" So he started the new album by recording detailed demos of each composition, using samples of the orchestral instruments. Some individual parts, such as his playing on a grand piano and featured trumpet performances, were recorded in London. The rest was done in Prague with the Czech National Symphony Orchestra and Choir, conducted by Nick Ingman, who also handled the orchestrations. The various sections of the ensemble were recorded separately, with the musicians playing along with the demos (via headphones) as a template for each piece. "It just gives me much more flexibility," Banks says. "It means that I can scrutinize each part. Because when you're doing music like this that has never been heard before, the orchestra doesn't really know how it's supposed to go, so it's much easier to do it this way." Some classical aficionados might consider this an artificial approach, he acknowledges, "but the end result is that it sounds like an orchestra playing together  just in the same way as a rock group sounds like a group playing together, even though they're very often recorded at different times." 5, released on the BMG label, derives its name from the five pieces that make up its nearly hourlong running time. Banks admits that the titles of the works all came after they were composed. "I'm not one of those people who likes a piece of music to go with a particular event or anything," he explains. "I write music very much for music's sake." Still, the works do roughly follow the theme of "a period of time," beginning with Prelude to a Million Years. Then, in order, he says: "Reveille is waking up. Ebb and Flow as the day goes on. Autumn Sonata later in the afternoon or later in life. And Renaissance is a rebirth, end of life, start again-type thing." All of the works feature Banks' penchant for long, sustained melodies and an undercurrent of motion. "I like a nice tune," he says. "Melodies are very important to me, and I like melodies that do go on a bit, rather than just repeated things. That's what I've been kind of known for in the past." He cites his mesmerizing piano solo at the beginning of the old Genesis tune "Firth of Fifth" as an example of his melodic calling card as a composer. "I just love the way that melody and chords can fit together," he says, "and that's what I like to do." Ironically, that kind of spotlighted piano playing isn't prominent on 5, which generally blends the instrument into the overall orchestral mix. That was a deliberate decision by Banks, to the dismay of some of his longtime fans, based on their comments left on officially posted videos for the album. "I'm not sure I ever give the fans quite what they want," Banks says. "It's a difficult one: Fans always say they want more of a rock album and more of featuring me slightly more strongly. But I did do a series of solo albums  the last one was released in the '90s  and, to be honest, the first one or two did OK and then they seemed to attract less and less interest. "These orchestral albums … gave me a revived interest in music and in writing music. The first one did quite well over here, and so that gave me an incentive to carry on like that. A lot of modern pop music I find a little dull, and I just like music to be a bit more expansive. I like to be able to take 10-15 minutes to paint a picture, and that's what I'm doing with this record."